Hey! Have you heard? 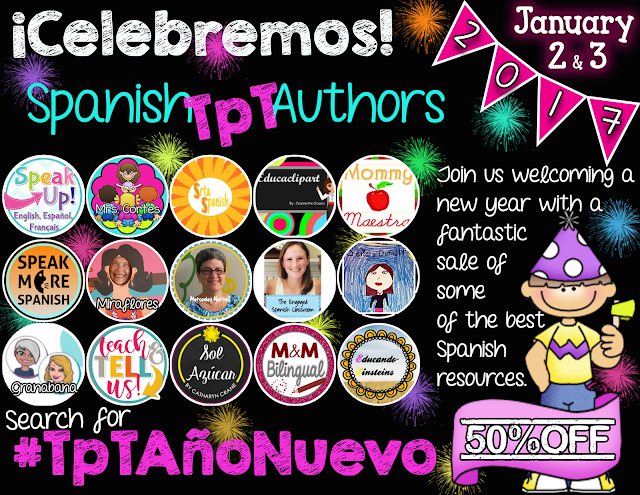 There's another awesome sale going on and it features top-notch products in Spanish from some really talented teachers on TpT. Each teacher participating in the sale has listed a couple of their best Spanish materials at 50% off their normal price, and many have their entire stores on sale, too. 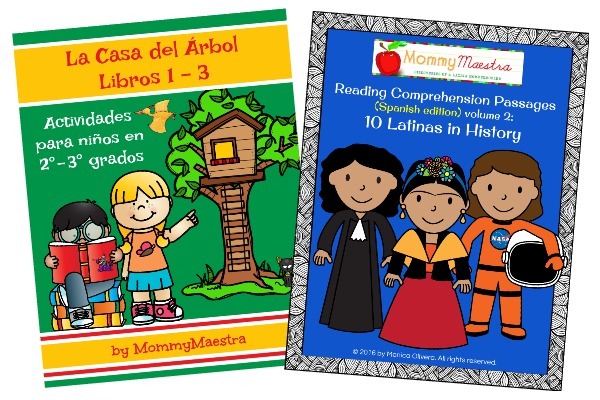 I've listed my Spanish Reading Comprehension Passages: 10 Latinas in History packet and La Casa del Árbol Activity Pages for Books 1 - 3 packet at half off, plus put my entire store on sale for 20% off. 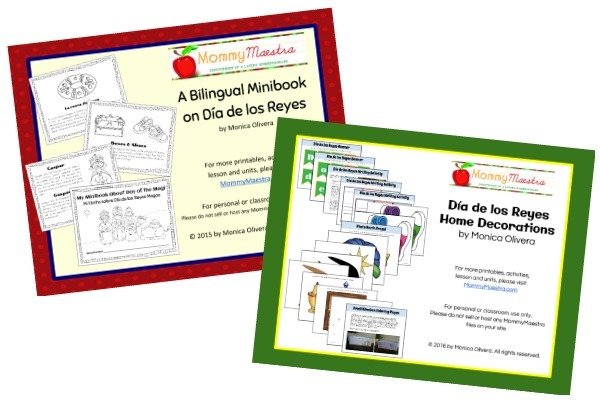 And don't forget that I have some really wonderful products for available for learning about and celebrating Dia de los Reyes! But here's the catch: The sale ends TONIGHT (Tuesday, Jan 3rd) at midnight! So if you're looking to stock up for the year or just want a few products to make it through the week, now's your chance! Just head over to TpT and search the hashtag #TpTAñoNuevo or click here.